Just imagine, after years of struggling to complete college, your son, little Johnny has finally has his head on straight. He graduated, he’s worked for the family business for two years and is doing well. He met a nice girl and they have married. He wants to buy a home. Unfortunately, Johnny has not always made the best decisions. His credit is not where it needs to be. Based on the fact that he is now making better decisions, you decide to loan Johnny the money to buy the home. The title company you’re working with will prepare a note and mortgage to secure your loan, what could be easier, right? That Darn Dodd-Frank! Your loan is probably in violation of this Act. Based on this violation, your note and mortgage may not be enforceable. Dodd-Frank is federal legislation that came about as a result of the real estate crisis of the last decade. The Act created the Consumer Financial Protection Bureau (“CFPB”) and other laws that regulate all consumer loan transactions. One of the other laws is the Loan Originator Rule. In general terms, if the borrower will use the home for residential purposes (whether a primary residence, a second home or a vacation home) then the person arranging the loan is defined as a “loan originator.” A loan originator must have a mortgage originator’s or broker’s license. Pursuant to the Act, any person who offers and negotiates terms of a residential mortgage is deed to be a mortgage loan originator. Unfortunately, for mom and dad above, there are no exceptions for a person, who is not a Seller, to secure a mortgage with a residential property. (f) balloon payments are allowed, however the term of the balloon is not clear. Most practitioners believe that no shorter time period than 5 years should be used. (g) while the Act does not prohibit adjustable rates, a fixed rate is suggested. The Act has restrictions, limitations and caps on rate charges. (h) the seller is not required to investigate the buyer’s ability to repay the loan. (g) the Seller is required to make a reasonable investigation regarding the Buyer’s ability to repay the loan. Although formal documentation is not required, the investigation should be done in good faith and the results should be maintained. While other exceptions exist, they are very complicated and are not practical for ordinary Seller financers. Good news is Dodd-Frank does not apply to every loan. First, it only applies to residential loans. So, if you’re dealing with vacant land, commercial properties, rental properties or properties used solely for investment purposes, Dodd-Frank simply does not apply. Moreover, Dodd-Frank does not apply to non-residential buyers. So, if the buyer is a corporation, limited liability company or partnership etc., Dodd-Frank will not apply and the loan can be made without consideration to its restrictions. So, now that we know that mom and dad have a problem trying to help little Johnny buy his home, what are we to do? One solution would be for the mom and dad (the lender) to purchase the property from the underlying Seller first. Then mom and dad as the Seller could sell little Johnny the home and take back the note and mortgage under the one property exception. Yes, the transaction costs would increase, but the creative closers at the Florida Agency Network will work with you to keep these costs down. Another solution would be for mom and dad to work through a mortgage broker. The mortgage broker will be required to comply with all of the various lending laws and regulations. While the broker will likely charge a fee for this service, it is another option that will allow the transaction to go forward. Know B4 You Owe. Can you speak the new TRID lingo? One More Reason to Attend! 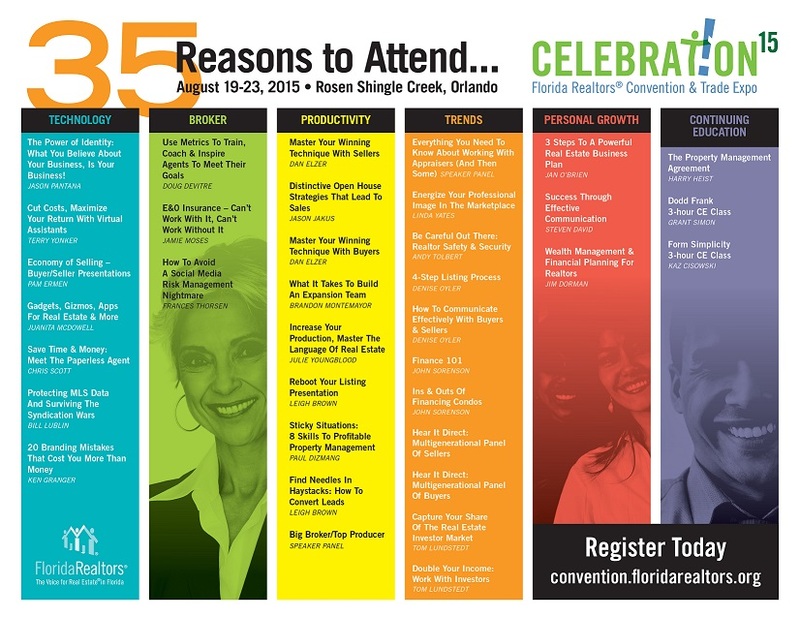 Florida Agency Network is giving you one more reason to attend the 2015 Florida Realtors® Convention and Trade Expo! There are 36 reasons to attend. The number one reason is to get up to date on everything TRID before the new disclosures go into effect October 3. Stop by booth 625 – Get social with all of the agencies in the FAN network and enter to win an Apple Watch! Here’s a full timeline of how we created the Loan Estimate and Closing Disclosure forms, part of our Know Before You Owe: Mortgages project. It’s a look back at our effort to make mortgage disclosures simpler and more effective, with the input of the people who will actually use them. You can also return to the main page to view an interactive timeline. The Dodd-Frank Wall Street Reform and Consumer Protection Act is signed into law. The new law required the CFPB to combine the Truth in Lending and Real Estate Settlement Procedures Act disclosures. The Treasury Department hosts a mortgage disclosure symposium. The event brought together consumer advocates, industry, marketers, and more to discuss CFPB implementation of the combined disclosures. Starting with the legal requirements and the consumer in mind, we began sketching prototype forms for testing. During this process, the team discussed preliminary issues and ideas about mortgage disclosures. This session set the context for the disclosures and was a starting point for their development. The team continued to develop these issues and ideas over more than a year during the development process. Know Before You Owe opens online. We posted the first two prototype loan estimates. We asked consumers and industry to examine them and tell us what worked and what didn’t. We repeated this process for several future rounds. Over the course of the next ten months, people submitted more than 27,000 comments. Qualitative testing begins in Baltimore. We sat down with consumers, lenders, and brokers to examine the first set of loan estimate prototypes to test two different graphic design approaches. Consumers and industry participants worked with prototypes with lump sum closing costs and prototypes with itemized closing costs. Again, we asked testing participants to work with prototypes with lump sum closing costs and itemized closing costs. Another round of closing cost tests, as we presented participants with one disclosure that had the two-column design from previous rounds and another that used new graphic presentations of the costs. 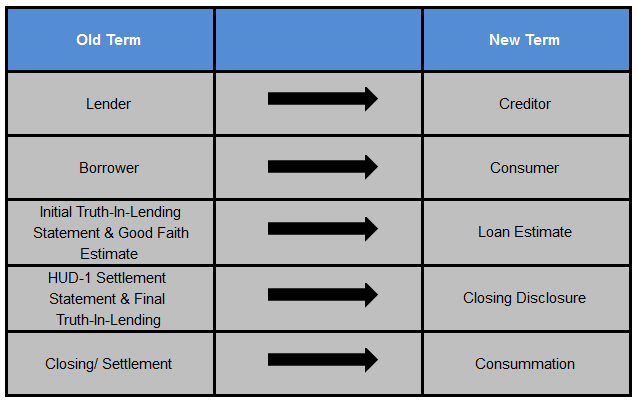 In this round, we presented closing costs in the itemized format and worked on a table that shows how payments change over time. We began testing closing disclosures. Both designs included HUD-1-style numbering for closing details, but two different ways of presenting other costs and Truth in Lending information. One form continued to use the HUD-1 style numbered closing cost details; the other was formatted more like the Loan Estimate, carrying over the Cash to Close table and no line numbers. In this round, we settled on prototypes formatted like the Loan Estimate, but one included line numbers and the other didn’t. We also began testing the Loan Estimate with the Closing Disclosure. Participants reviewed one Loan Estimate and one Closing Disclosure (with line numbers) to see how well they worked together. We convene a small business review panel. 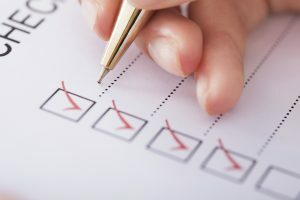 A panel of representatives from the CFPB, the Small Business Administration (SBA), and the Office of Management and Budget (OMB) considered the potential impact of the proposals under consideration on small businesses that will provide the mortgage disclosures. We meet with small businesses. The panel met with small businesses and asked for their feedback on the impacts of various proposals the CFPB is considering. This feedback is summarized in the panel’s report. We conducted one final round of testing to confirm that some modifications from the last round work for consumers. Proposal of the new rule. The CFPB released a Notice of Proposed Rulemaking. The notice proposed a new rule to implement the combined mortgage disclosures and requested your comments on the proposal. Comment period on most of the proposed rule closes. Between the public comment period and other information for the record, the CFPB reviewed nearly 3,000 comments. These comments helped us improve the disclosures and the final rule. We test Spanish language versions of the disclosures across the country. We conducted qualitative consumer testing on Spanish language versions of the proposed disclosures. We tested in three cities: Arlington, Va. (October 11-12); Phoenix, Az. (November 14-15); and Miami, Fla. (December 12-13). With the help of Kleimann Communication Group, the contractor who helped us throughout the testing process, we conducted a quantitative study of the new forms with 858 consumers in 20 locations across the country. By nearly every measure, the study showed that the new forms offer a statistically significant improvement over the existing forms. In response to comments, we developed and tested different versions of the disclosures for refinance loans, which we tested for three rounds. (In our last round, we tested a modification for both purchases and refinances.) We also did one more round of Spanish language testing for the refinance versions. The modified disclosures tested well and are the ones included in the final rule. The CFPB issues a Final Rule. The final rule creates new integrated mortgage disclosures and details the requirements for using them. The rule is effective for mortgage applications received starting August 1, 2015. The CFPB proposes a new effective date of October 3, 2015 for the Know Before You Owe mortgage disclosure rule. The CFPB issues a final rule moving the effective date to October 3, 2015. Can I Get a HUD? After October 3, 2015 you will no longer be receiving a HUD-1 settlement statement before consummation of a closed-end credit transaction secured by real property. That’s right, I just said consummation of a closed-end credit transaction and no more HUD. There is new jargon to go along with the new, easy-to-read, consumer friendly, disclosures. After October 3, the ‘HUD’ will be called a ‘Closing Disclosure’ (CD). ‘Closing’ will be referred to as consummation and the ‘Good-Faith-Estimate’ (GFE) will be called a ‘Loan Estimate’. Take a peek at the new disclosures! Bank of America continues to prepare for the Consumer Financial Protection Bureau’s (CFPB) Integrated Mortgage Disclosures rule under the Real Estate Settlement Procedures Act (Regulation X) and the Truth In Lending Act (Regulation Z) that go into effect August 1, 2015. With less than a year before the implementation date, we have started to share information with the settlement agent community about the rule and will now begin to share how the rule will change the way you work with us. Bank of America will use Closing Insight™, an industry tool developed by RealEC® Technologies, to support the implementation of the CFPB’s Integrated Mortgage Disclosures rule. What is changing with how you work with Bank of America? All documents, data, and information will be exchanged through Closing Insight™. This will discontinue the use of email, fax, and other document delivery methods to ensure that non-public personal information (NPPI) is always protected. After working with the settlement agent to finalize and confirm all fees, Bank of America will generate the buyer/borrower Closing Disclosure. For purchase transactions, settlement agents will continue to generate the seller’s Closing Disclosure. To ensure receipt three business days prior to loan closing, Bank of America will take responsibility for delivering the buyer/borrower Closing Disclosure. In addition, a copy of the final Closing Disclosure will be included with the loan documents to be presented to the buyer/borrower at closing. For purchase transactions, settlement agents will continue to deliver the seller’s Closing Disclosure. The requirement for the buyer/borrower to receive the Closing Disclosure three business days prior to loan closing will intensify the need for Bank of America to work very closely with the settlement agent to schedule the details of the signing/closing. Bank of America will continue to work through all that is needed to meet both the requirements of the regulation and continue to deliver an exquisite experience for our mutual customers. We will share more information in the coming months as it becomes available. In the meantime, please submit any questions or feedback you may have regarding how Bank of America will expect you to handle transactions after August 1, 2015 to Integrated.Disclosures.Feedback@bankofamerica.com. For more information about RealEC® Technologies or Closing Insight™, please visit their website at www.bkfs.com/realec. In addition, many Title & Escrow production systems are working with RealEC® Technologies to enhance current integrations in support of Closing Insight™. For more information about how or if they plan to support Closing Insight™, reach out to your provider directly.